If you’re partial to movies featuring impossibly large creatures causing a ruckus, 2018 is shaping up to be a cinematic treat. In the first four months alone, we have the back-to-back punch of Pacific Rim: Uprising and Rampage, New Line and Brad Peyton’s monster movie in which three grossly mutated animals – one silverback gorilla, one lizard, and a wolf – leave a trail of destruction all the way to Chicago’s Willis Tower. 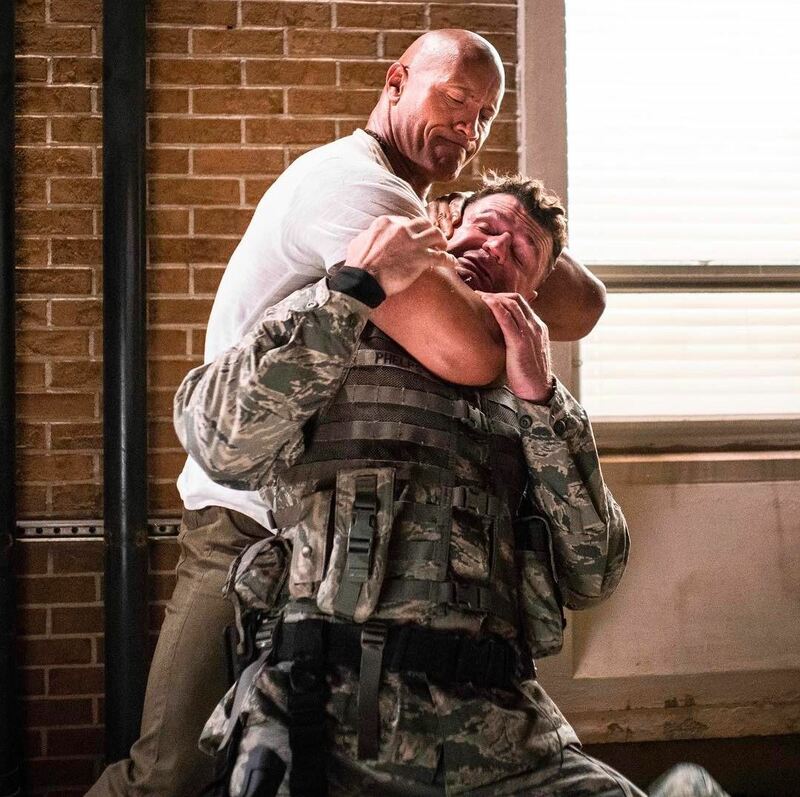 Attempting to curb three skyscraping abominations isn’t a job for the faint of heart, then, and thankfully, New Line has recruited Hollywood superstar Dwayne Johnson (The Fate of the Furious) to cancel the impending apocalypse. On board to play primatologist Davis Okoye, Johnson’s character is essentially the emotional crux of Rampage in the sense that he shares an unshakable bond with George, the “extraordinarily intelligent, silverback gorilla” that is blown up to a mammoth size when a rogue experiment goes horribly, horribly wrong. The Griffin Technologies Group is to blame for the calamity, and we understand that Malin Akerman and Jake Lacy’s nefarious organization will in many ways stands as the true villain of Rampage. How do we know? 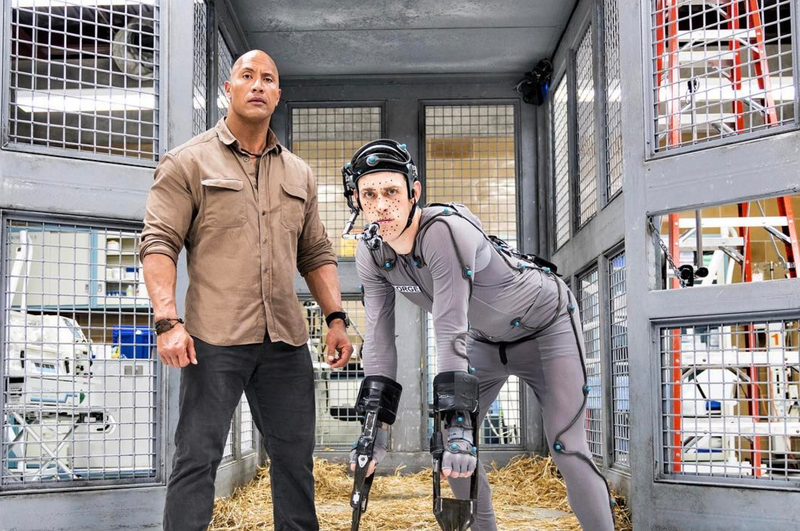 Well, the official synopsis, for one, while there’s also another pair of set photos for Brad Peyton’s live-action blockbuster that features Dwayne Johnson and co-star Naomie Harris in cuffs. Perhaps they’re under arrest for snooping around the Griffin Technologies Group? Time will tell, but as production continues apace on New Line’s tentpole, it shouldn’t be too long before we get to clock eyes on the first trailer. Rampage will roar to life on April 20th, 2018.